Jacob as a half werewolf. Jacob side par side his inner form. 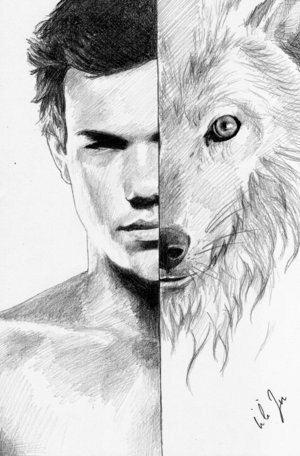 Wallpaper and background images in the Taylor Lautner club tagged: jacob werewolf. wow that's the best picture I've seen !!!!!!!!!!!! I love it!!!! WOW ... that is so good!! !